If you want to be a freelance writer, I want you to do yourself a HUGE favor and forget everything you’ve ever been told about being a freelance writer. Seriously. Many of us are drawn to this profession because we love to write. But at the first spark of this inclination, non-writers are quick to snuff out the flame. I loved my English teachers. They encouraged me to grow as a writer, urged me forward, until, that is, I said I wanted to be a professional writer. “Oh, you’ll never make any money that way!” Two of my English teachers wanted me to be a lawyer—a lawyer! I am so glad I didn’t listen. Welcome to the ultimate guide on how to become a freelance writer. My name is Amy, and I’ve been a freelance writer in some capacity since 2010 when I started doing some freelance journalism work for ABCNews.com. It seems like everyone wants to become a freelance writer, but I don’t think most beginner freelance writers know what they’re getting into. It is a tough field; it’s competitive, the pay can be abysmal, and you don’t exactly get to write your favorite things most of the time. *Below are some affiliate links. That means I receive a commission if you choose to purchase through my affiliate links (at no extra cost to you). Thanks for supporting the work I put into this site! What types of things do freelance writers get paid to write? What are some freelance writing niches? Step 1: Build your portfolio. Yes, this will mean writing for free and/or for very low pay. Step 2: Start a blog. Step 3: Cold pitch publications and businesses. Step 4: Learn as much as you can. Writer, You CAN Do This! Did you like this post? Pin it to Pinterest! This might seem like a silly question, but I wish more people would ask it. If you tell someone you’re a freelance writer, what immediately pops into their head? Usually, they think you write for magazines or newspapers (AKA a freelance journalist) or that you write books (AKA an author). But in reality, there are SO MANY types of freelance writer jobs, and it’s essential that you understand what each entails so you know which one you want to pursue. Freelance copywriter – A copywriter writes words with the intent of selling. Think product descriptions, advertisements, and sales pages. Freelance content marketer or content writer– The job responsibilities of a content marketer or content writer overlap those of a copywriter, but go beyond that. Content writers (and copywriters, for that matter) might write blog posts, ebooks, whitepapers, case studies, and more. Freelance technical writer – Technical writers are probably best known for writing instruction manuals; you know, the things that you never read that come with that desk or appliance you bought? ? Technical writers need to be able to understand technical matters and communicate them in a way that any layperson can understand. Freelance grant writer – Grant writers often help non-profits win funding by helping them write proposals for grants. Freelance press release writer (PR specialist) – A press release is a document that gets sent out to journalists in the hopes of winning media coverage for a company. 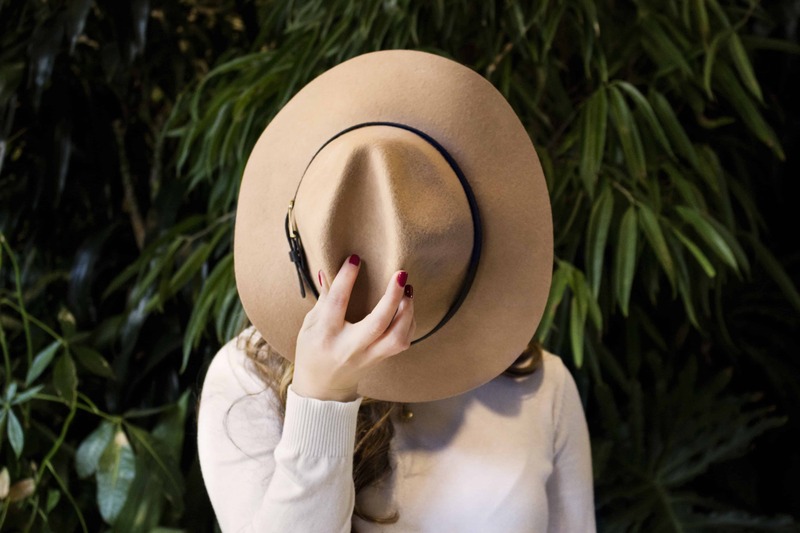 Freelance magazine writer – More along the lines of journalism (but not always), a freelance magazine writer writes feature articles, profiles, listicles, and more for a magazine. Freelance journalist – Freelance journalists stand in a league all their own. They must adhere to strict journalism ethics and standards. Their words are not marketing like the words of the other writers we’ve talked about here. Freelance journalists might cover hard-hitting, breaking news (such as a natural disaster) or they might do human interest stories that are evergreen (such as a profile of an award-winning chef). 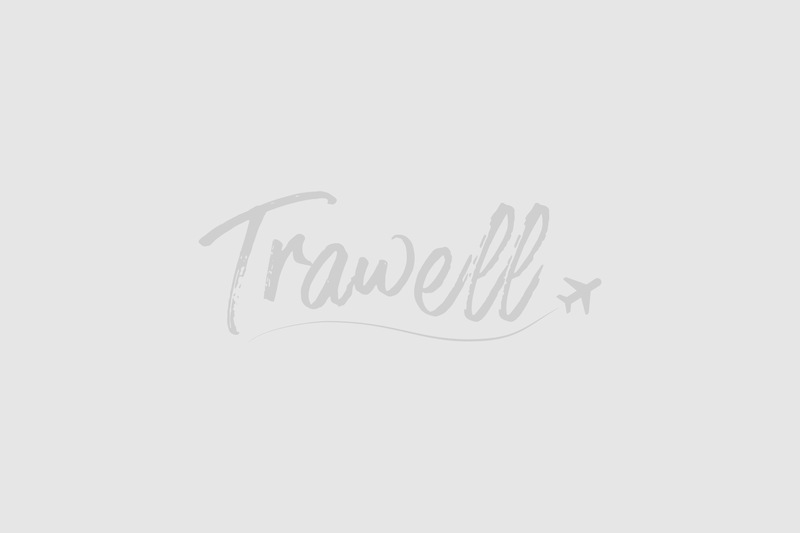 Freelance creative writer – I’m lumping SO MANY types of writers into this category, which honestly is the category most of you who think freelance writing is a dream THINK you’re going to fall into. Creative writers write things like poems, short stories, essays, and novels. You’re in for a reality check: This is the most competitive field of freelance writing, with the fewest jobs and the lowest pay. Unless you become a famous bestseller (think J.K. Rowling, James Patterson, or Danielle Steele), it’s tough to make a living purely from creative writing. This is another question that comes with a WIDE RANGE of answers. Lindy Alexander made $100,000 in 2017. First of all, Lindy is an amazing person and helpful resource for freelance writers. So you should definitely check her site out. Second, she stands out on this list because, as far as I know, her writing is mostly journalistic writing, not content marketing. I am a firm believer that you should determine your rates in this specific way: Decide how much you need to make, and then work backward. Here’s what that might look like: Let’s say you’re a freelance content marketer who specializes in writing blog posts for software companies. You know that you can handle writing about three long-form blog posts per week, or 12 per month. You also know that you need to clear at least $4,000 to be able to pay your bills, save for taxes, and pay your business expenses. And yes, you can easily make $333 per blog post if it’s long-form (say, 2,000 words) and in a specific niche topic. I’ve made $425 for a 1,800-word blog post. If you want my personal opinion, I’d say aim for a MINIMUM of $100 for a blog post or AT LEAST 20 cents per word for other content. But again, this is highly subjective and really should be based on how much you as a business NEED to make in order to be successful and how much VALUE you provide to your clients. I also believe you should never charge per hour. It’s best to charge per project or per word. This is rather controversial advice, but I personally believe it’s totally fine to write for free or low pay in the beginning. Sometimes that is truly the only way to get your foot in the door. Don’t expect to make much your first few assignments; the purpose of these is not to make money, it’s to make an investment that will eventually make you money. By writing for free or low pay in the beginning, you will gain some things that are very valuable: experience and, most importantly, clips! You need to have clips to show in your portfolio; otherwise, it’s unlikely anyone will want to hire you. This is directly related to step 1. Starting a blog will help you build your portfolio because your potential clients will be able to see more samples of your writing. Even better, if your blog becomes popular and your posts are shared a lot, this will look even better as it has that added dose of social proof. Click here to learn how to start a blog that will help your freelance writing business! Depending on what type of writer you want to be, you’ll either pitch publications (magazines, newspapers, etc.) or businesses. Being a freelance writer is ALL about pitching. Instead of waiting around for clients to come to you, you should pitch often and pitch well. Here’s an actual pitch I sent to a blog editor that got accepted! I’ve edited it lightly, and I took out identifying information. For full disclosure, we didn’t end up moving forward, though, due to a disagreement over rates. We take less time to complete a task when we actually get around to doing it. According to Parkinson’s Law, the work expands to fill the time available to us. By giving ourselves short deadlines, we end up spending less time on the task. I do want to end the article with the research that shows how procrastination can be devastating too, though. There is a line in which it crosses from good to bad. Would this piece interest you? Of course, you should invest in writing resources, such as online courses about freelance writing, but more than that, you should specialize in something in addition to writing. For example, if you want to be a content marketer, I highly recommend you learn about SEO. That is a competitive advantage that businesses are definitely looking for in content marketers. Becoming a freelance writer for businesses is what I specialize in. This is more commonly known as a “content marketer.” I know it’s making your skin crawl to think of yourself as a “marketer” instead of a “writer,” but that’s life. Businesses want writers not because they value pretty words but because of what those words can get them: leads, sales, revenue. Your words help them get found in Google search (that’s SEO! ), help them craft a brand voice, and help them persuade customers to buy (that’s copywriting!). Becoming a freelance writer for a magazine is a little different. Generally, you will need to start building a relationship with the magazine by sending a query letter, which is basically pitching a story to the appropriate editor. Your goal here is to get one assignment to start off, knock it out of the ballpark, and then pitch another story. Eventually, you’ll move up the ranks to contributing writer, which means you regularly send pieces in (you might even now get assigned pieces, rather than having to pitch in the hopes of making the next issue). And eventually, the big brass ring is when you get promoted to staff writer. You’ll get your bio on the website probably and you’ll get bigger assignments more frequently. Assuming you’re a good writer, the BIGGEST challenge you’ll face is running your writing like a business. I know you don’t want to hear that, but that’s what freelance writing is: a business. So you’ll need to treat it as such. Without any business background, you’ll likely flounder at the start (like I did). So take it from me: It’s worth it to invest in an education—and I don’t mean a college degree! Hosted by the famous Carol Tice of MakeaLivingWriting.com, the Freelance Writers Den is a community of pro writers that will help you grow your freelance income. Members of the Den have earned up to $100,000 a year thanks to its resources. This is the cheapest option on the list, and it’s a monthly subscription membership model. Click here to be notified when the Den is open for new members! If you’re itching to get your freelance writing started TODAY and don’t have time to waste, 30 Days or Less to Freelance Writing Success is another very popular freelance writing course where Gina Horkey walks you through how she earned $4,000 a month doing freelance writing on the SIDE of a full-time job while raising children! Ah, yes, it’s the freelance writing aspect everyone loves to hate: content mills. Content mills are platforms that have a pool of freelance writers to whom they farm out pieces of content for very, very low payment. 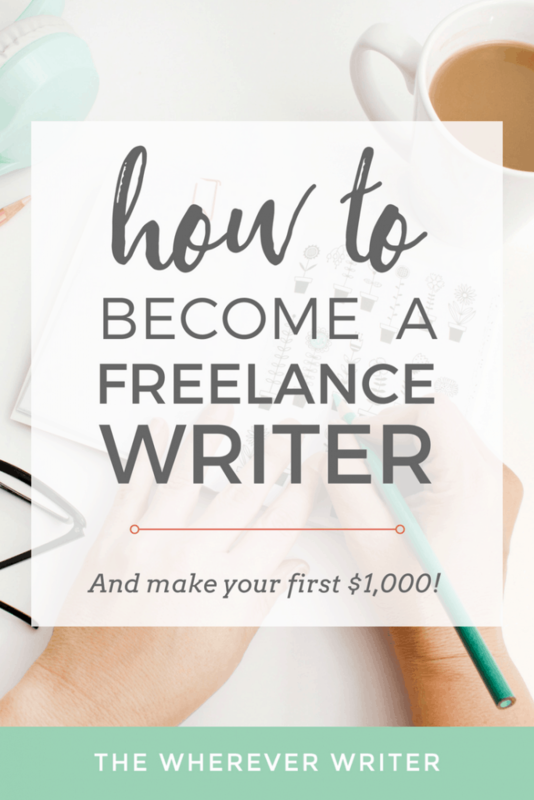 While it’s no way to make a living, it’s where many successful freelance writers get their start (heck, I did some time with Skyword at the start!). Skyword – They actually don’t pay that bad! If I recall correctly, back in 2014, I was getting paid $80-$100 per blog post for them. Writers love to hate on job boards too. They’re highly competitive because everyone is looking at them, but they’re really helpful in saving you time by curating freelance writing jobs for you. ProBlogger – I’ve won a couple quality gigs through this (very competitive) job board: one editing and one blogging gig. FreelanceWritingGigs.com – Definitely sign up for their newsletter so you can get email notifications of new freelance writing jobs. Agencies basically serve as the middleman between you and the client. This has its pros and cons. On the plus side, it can increase your likelihood of winning work, as the agency will do the advertising, finding, and matching for you. On the downside, you have less control and get paid less (since the agency takes its cut of your pay). Once you start gaining clients and building your network, you’ll find that much of your freelance writing work will come from referrals from happy clients and close connections. For example, one of my editors emailed me asking for referrals to good writers because the magazine wanted to hire more freelance writers for its feature articles. I recommended a friend of mine, and guess what? They hired her! So never underestimate the value of maintaining friendships with other writers and with your own clients. They will become your most vocal advocates! A form of inbound marketing, SEO can help you win clients by helping your freelance writer website show up in Google search based on certain keywords. I’ve gotten a few leads this way for my writing, but I have never relied on it. SEO is slow and more of a long-term game. Many publications put out open calls for submissions. In these cases, you can pitch the editors based on their submission guidelines. This is a great way to break into journalism and magazine writing. Just realize that, because the calls for submission are public, you’re up against a lot of competition. If you need to win clients FAST, cold pitching is the way to go. Cold pitching is when you pitch a publication or a business—even when they have not stated that they are looking for anything. Step 1: Decide what you want to write. Step 2: Go to Google. Even if you can’t find any information about a potential client or publication wanting to hear from freelance writers, pitch them anyway. Yes, I have won freelance writing gigs this way. I got $375 for ONE blog post by cold pitching the editor of a blog I really loved—and they didn’t even have a call for pitches! Step 3: Stalk your favorite freelance writers. You likely have a few favorite freelance writers that you follow, right? Head to their portfolio and check out their bylines. And pitch those publications! If your favorite freelance writer has a byline with that publication, then you know they work with freelancers and probably pay. Step 3: Find the right person to contact. If you’re pitching a content marketing piece for a business, you want to find the Director of Marketing or Content Marketing Manager. Basically, whoever is in charge of marketing will likely be in charge of the business’ blog. If you’re pitching a journalism piece, you want to find the editor of the section you want to pitch of that publication. For example, if you’re pitching a Mexico beaches piece to a lifestyle magazine, contact the travel editor, not the food editor. Be sure to read the submission guidelines (if any). Okay, but how do you find that person’s email address? Use Hunter.io to scan a website for all available email addresses. Use Hunter.io’s Email Verifier to guess an email address and make sure it works before you actually send something to it. Use Twitter’s search feature to see if their email address is publicly mentioned in a tweet from them. Or it may be in their bio. Check LinkedIn. On their LinkedIn profile, they might list their email address. Subscribe to that publication’s email list. If all else fails, you can subscribe to the publication’s or business’ email list to get a generic email address you can send a pitch to. Send 10 pitches. Real writers pitch. Sometimes DAILY. In the beginning, you need to pitch, pitch, pitch, pitch until you get your first clients. Stop waiting for the “right time.” Just send those pitches and see what happens! Invest in an education. Gaining insider knowledge from the people who have gone before you successfully is key to getting ahead of the competition in freelance writing. Check out 30 Days or Less to Freelance Writing Success or Earn More Writing. If you want to get started fast, I highly recommend you break into blog writing first. This will be a form of content marketing. Why do I recommend this? To me (and this is just MY opinion), it’s the easiest to break into. Pay can easily be won at $150/blog post. I’ve seen it. So if you want to make $1,000 freelance writing this month, at $150/post, you’d need to win 7 paid blog writing gigs. 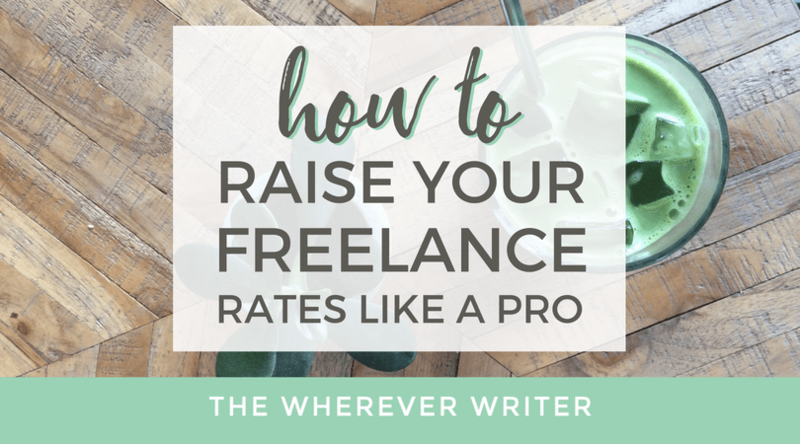 Alternatively, you can up your rate to $200/post (again, a very typical payment), and then you’d need to write 5 blog posts for clients that month. Rather than do one-off posts for 5 individual brands (which you can totally do if you want), pitch a brand on a blog writing package; for example, you could write 5 blog posts for them for $1,000. This is better because they’ll need long-term content, not just one post, so if you can sell them on how much time and money they’ll save by hiring you to build out a month’s worth of content or them, congrats! You’ll make $1,000 this month. Obviously, there are a million other ways to make $1,000 writing. But I wanted to give you a concrete plan since that was the promise of this post. I hope this post helped answer your questions about how to become a freelance writer. I wrote it from my perspective as a freelance writer since 2010. Most of all, I hope you walk away from this realizing that you can make money by writing. Too many people give up before they even start. Too many people listen to the advice of those who haven’t really tried. If you feel called to write, then I urge you—write!